If you're looking for a highly versatile, well-made massage chair, built and manufactured by a well-respected company you can trust that offers a standout warranty, you might find exactly what you're looking for in the Infinity Altera. Designed to fit a broader range of heights, specifically those four-feet-nine to six-feet-two, and to take up very little space in your home with its minimal footprint, the Altera is small on space consumption and big on benefits. If you happen to be on the shorter side, especially if you're under five feet tall, and you have been shopping around for a massage chair, you know what you're up against. You can get lost at worst, and buried at best by most of the models on the market today. Enter the Infinity Altera. Designed to accommodate more petite dimensions, but still comfortable for those up to six-two, you can say goodbye to chairs that don't fit and hello to excellent features and high-quality design and engineering. Most chairs are built for the average height, so if you're shorter than five-feet-three, you probably find the airbags don't hit in the right places, and the footrest is too long, unless it has the ability to extend and retract, which means you lose out on a quality lower leg and foot massage. With these considerations in mind, Infinity took its quality engineering to task and built the Altera. And they didn't do so at the expense of those over six feet losing out, as it comfortably fits those up to six-two. Those smaller in stature are not the only ones who love the Altera. If you're looking to outfit a smaller apartment, home, office, or workspace, you'll love the tiny footprint and minimal wall space you need. You can fully recline with a mere three inches between the chair and the wall. Infinity is well respected in the industry for delivering an outstanding massage. It's probably most well known for their ability to pack into each model all the latest features, technology, and engineering. They literally leave no stone unturned. From head to toe, you get the latest in rollers, compression, air cells, and twist. The Altera is no exception. 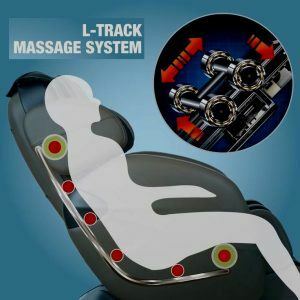 The super long 49-inch L-track roller system delivers a deep, intense massage from neck to the backs of the thighs, so you get deep relief from the crown of your head, through the neck, back, buttocks, and hamstrings. It's serious about full body massage action, deeper and more comprehensive than most. There are four rollers mounted on the track, knows as a quad-head system. The benefit of the quad track is that the heads can get to a broader range of your back area. It's like a quad ATV as opposed to a motorcycle. Think of that quad rolling over your back as opposed to the two-wheeled motorcycle, which would only be able to reach a smaller area along a straight line. This is a feature you'll find in the top of the line models. The S-track system is basically a backrest that follows the curvature of your back and spine, neither of which are completely flat or in the shape of a straight line. It was designed to conform to the natural curves of our backs so that the rollers can go deep into the muscles along the spine and stick to the back. So, if you curve, the rollers curve with you instead of sticking to their own line. Think of this kind of like the evolution between the bench and bucket seats in a car. The bench seat employs a bit of a one-size-fits-all backrest. The bucket seat more comfortably curved and wrapped around our sides to cradle our backs and support our muscles and joints. The same basic idea here, only more technologically advanced, obviously. This is one of the areas where you'll really see the Altera shine. A lot of companies pack into their discount chairs the laundry list of the latest features. The more is more philosophy. As a result, though, what you often get is a lot of things not done particularly well, as opposed to a few things done really well, which is the opposite of what you want in a massage chair. Infinity is an exception to that rule because they put a lot of innovation into their products, but they don't sacrifice quality for quantity. Their air cell engineering and placement are a shining example. Compression massage has been shown to have a multitude of therapeutic benefits, and you'll be hard pressed to find a chair without airbags. But how many, the quality of the cells and the placement are all over the map, and that's the difference between other brand models and the Altera. You literally get head to toe compression massage. From the wrists and arms, up to the shoulders, and down the waist, lower back, and buttocks, all the way down to the legs and feet, you get amazing full-wrap airbag massage. It feels like you're being cradled in a giant, tight hug. If you've never experienced a quality compression massage, be prepared. It's life-changing. The airbag technology is also a big reason why the twist feature in the Altera is so effective. Some chairs boast stretching and twisting these days, but not many do it so well. The airbags inflate to hold the body tight and slightly twist it. 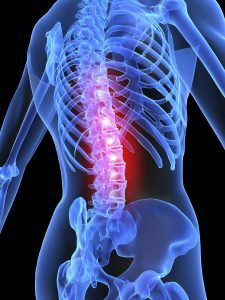 While twisted, the rollers move along the spine to correct any maladjustments in the spine. This isn't a jarring or unnerving twist action (think scary chiropractic). It's gentle and feels amazing, more like manual traction performed by a masseuse, releasing all the micro-stressed points along the vertebra. Amazing feature set. You get all the great features and benefits listed above, plus two stages of zero gravity. Foot rollers. Many high-end chairs lack foot rollers. The Altera has outstanding foot reflexology. Zero wall track design. The ability to recline to full zero gravity with only three inches from the wall makes this a great chair for small spaces. Bluetooth. You can listen to music via your favorite device, right through the built-in speakers. Just connect and relax. No cords to fuss with. Manual as well as preset programs to choose from, as well as seven massage types. 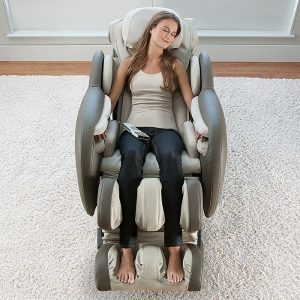 Rocking feature is unique and feels great when accompanied by massage. The remote control isn’t ideal. It lacks an intuitive design and uses push buttons, which don’t reflect the engineering and thoughtful design of the chair. If you’re over six-feet-two, you’ll find a better fit in another chair. Price. While well worth the comparatively reasonable price tag for a chair with these features, it’s no budget purchase by any means. So, how does the Altera compare to Infinity IT-8500? Both excellent chairs, but the Altera stands out for a few distinct features. For one, the forty-nine-inch L-track roller system is hard to beat. It's one of the longest in the industry. You also won't get Bluetooth connectivity in the IT-8500, or some of the massage features you find in the Altera, such as gripping and rubbing. You do, however, get a longer massage cycle, 45 minutes as opposed to 30 in the Altera. And of course, the IT-8500 takes more room to recline, so you don't get quite the space-saving that you do with the Altera. It is fairly easy to assemble, though, and if you need help, there's a video. It's hard to beat the quality of the Infinity line, and what they've done with the Altera is pretty outstanding. It's nice to see a company go the extra mile and innovate in a space this is usually overlooked. Designing a chair for the more petite among us is one thing, but to do it so well and without sacrificing quality, features, or benefits is pretty great. Whether you're 4'9" or 6' 2", this is a chair you will not regret owning. They mainly deal directly with distributors, but you can find the Altera along with the entire line on Amazon. And with a three-year warranty, you get peace of mind with your purchase.